No project is ever truly done, no matter how much we’d like them to be. 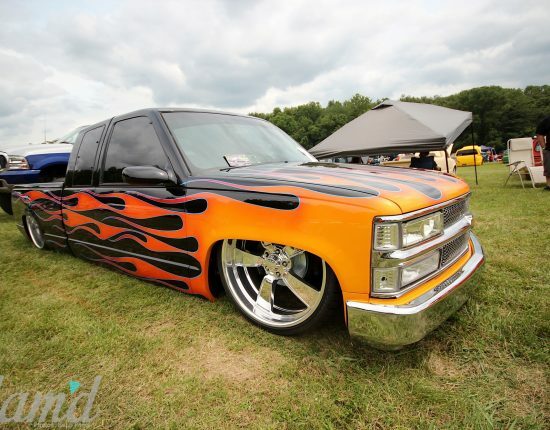 There are always modifications here and tweaks to be done there, and for most custom vehicle builders, they’ll build until they think they’re done, and then build some more. 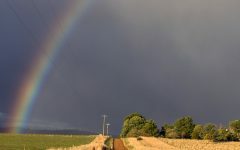 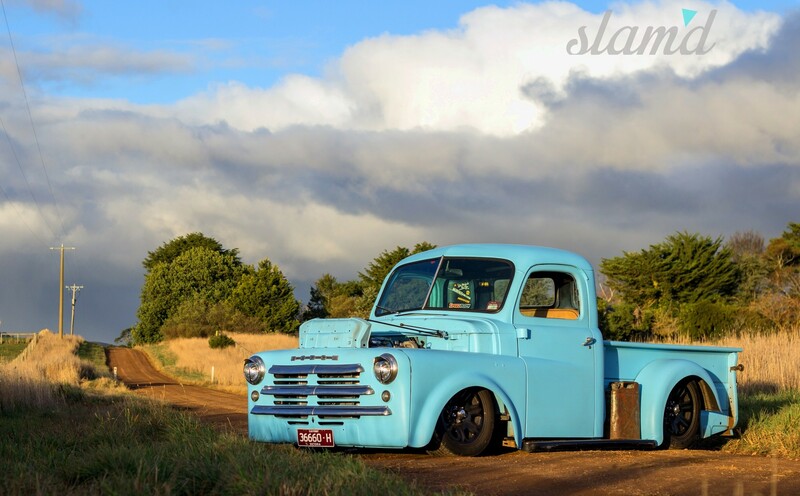 Darren Wilson of Lancefield, Victoria Australia knows this concept all too well. 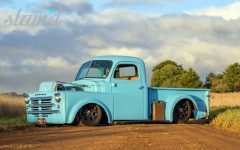 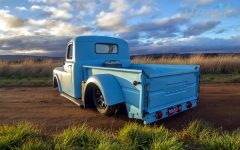 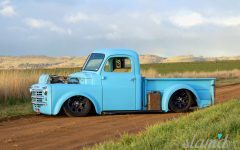 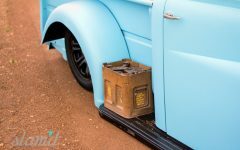 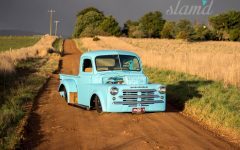 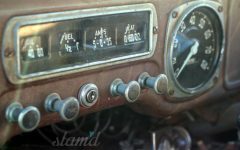 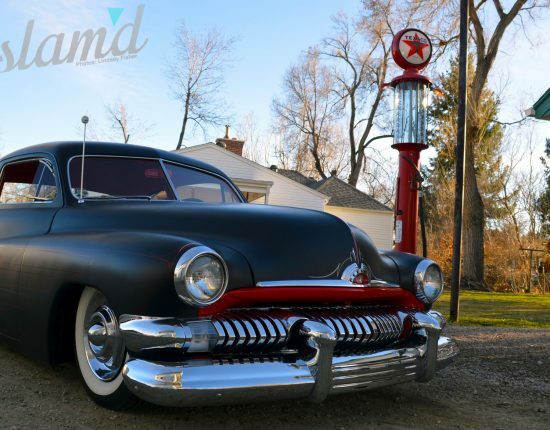 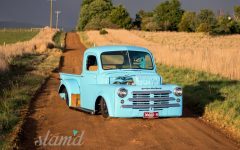 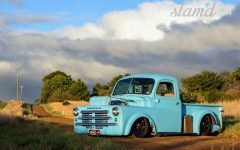 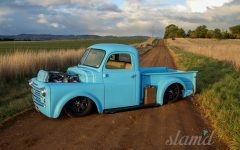 While his 1948 Dodge Fargo pickup truck may seem mostly finished, it took quite some time and dedication to get it to this point, and rumor has it, it’s not quite done but it’s close to the vision that Darren set out to create. 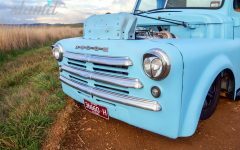 For those of you unfamiliar with the Fargo namesake, what you need to know is that it originated as an American motor company by the name of the Fargo Motor Car Company in the early 1900s. 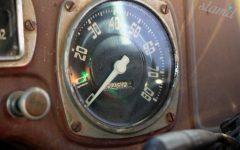 They were a truck company and produced vehicles through the 1920s. In 1928, Chrysler purchased the Fargo Motor Car Company and began producing pickup trucks with the Fargo name. 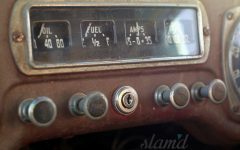 After Chrysler absorbed Dodge, Fargo trucks and Dodge trucks were sold as virtually identical models. 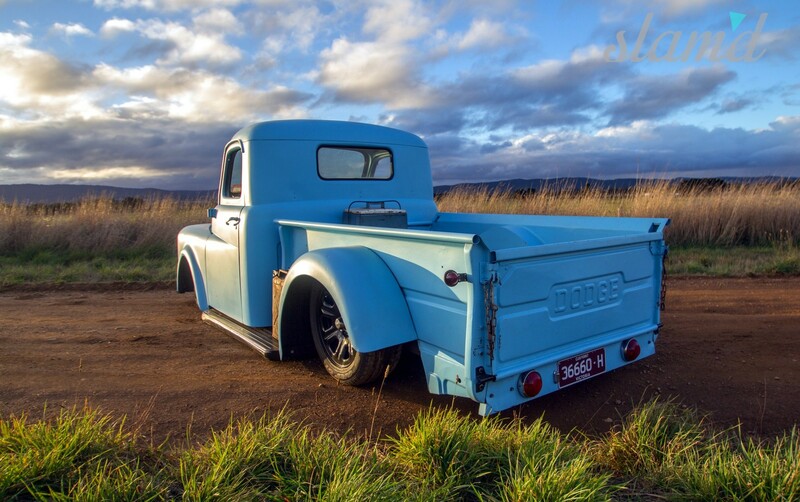 Later in the 1930s, the Fargo name was dropped from Chrysler’s American truck line but continued on in other countries, like Canada and Australia for decades until it was finally retired. 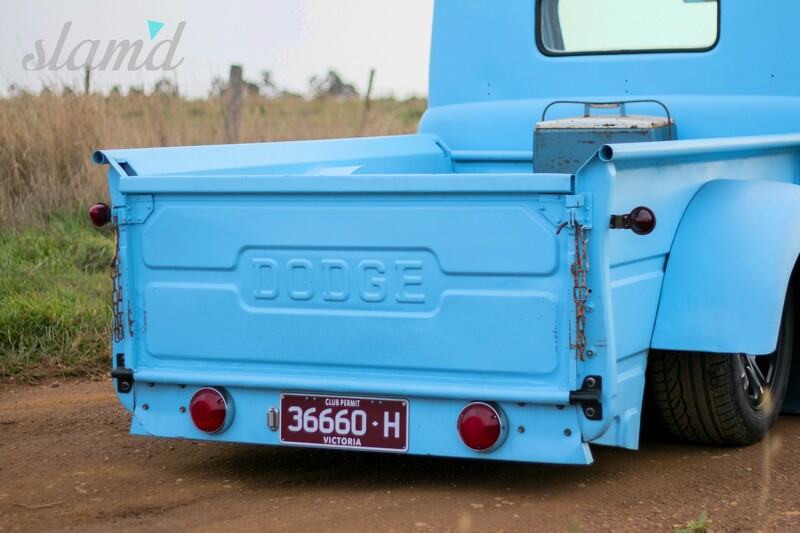 Darren’s Fargo pickup comes from the long line of Fargo pickups sold in Australia by Chrysler. 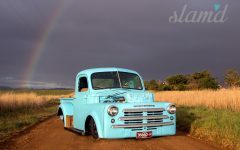 And while if found today in any kind of salvageable condition here in the States, it would surely covet a higher price if the seller knew what they had, they are much more common “down under” and Darren was able to pick this bad boy up for just $500 – shipping Dodge trucks isn’t the pain it used to be either, so more savings were made there. 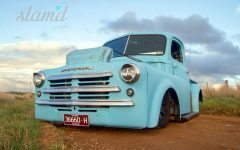 Now don’t get us wrong – this truck has certianly come a long way since it was purchased at that price, having been fully tore down and put on a Toyota Hilux chassis (another Aussie wonder), ‘bagged and fitted with larger wheels and the consequential custom wheel tubs, and fully dressed with a twin-turbocharged Chevy small-block of all things, the third engine to have been put between the front fender wells under Darren’s ownership. 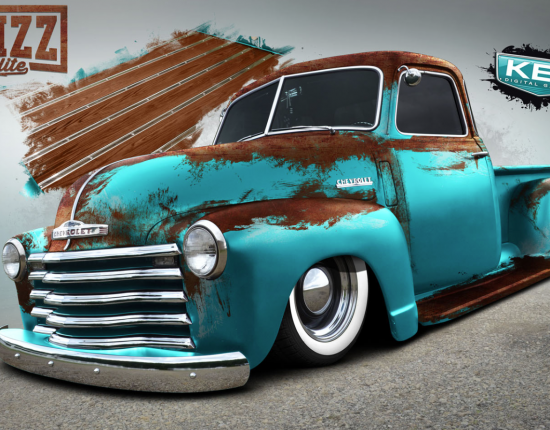 It’s definitely safe to say that this isn’t your everyday kind of build – rather, it’s a totally unique piece of rolling art. 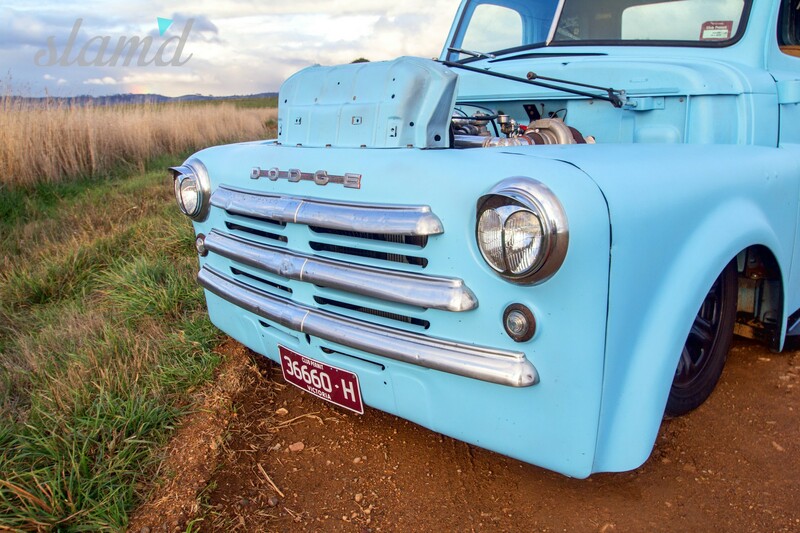 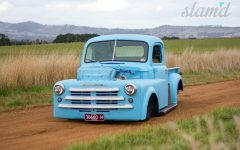 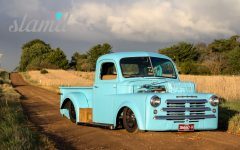 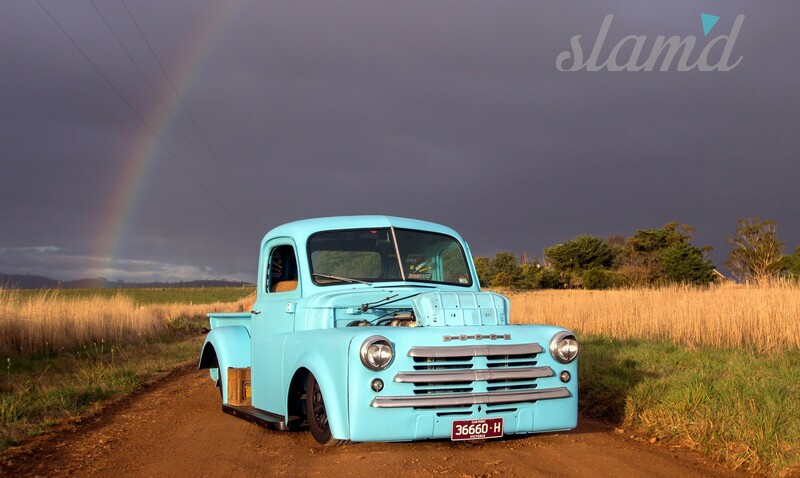 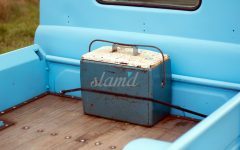 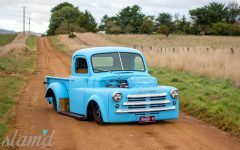 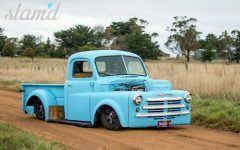 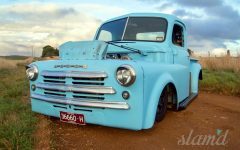 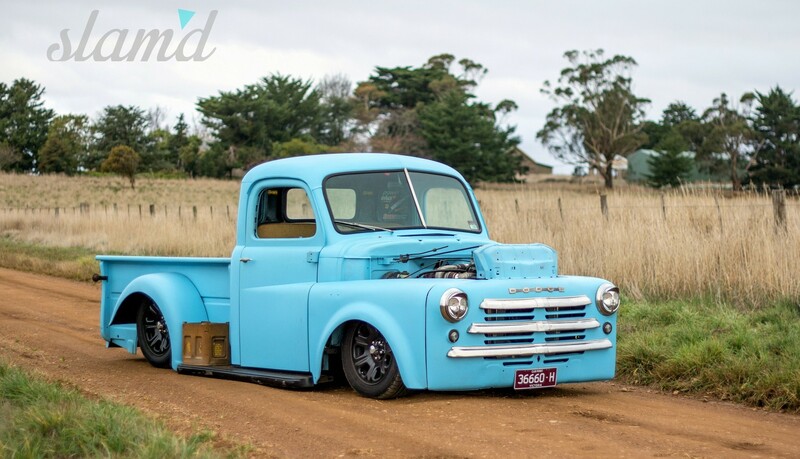 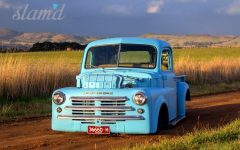 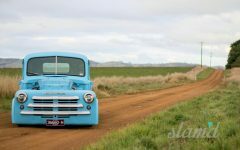 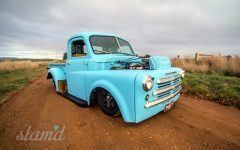 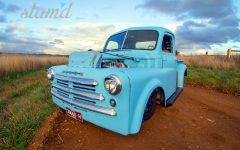 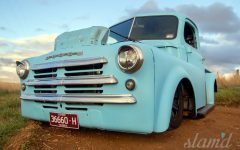 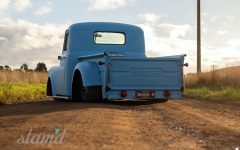 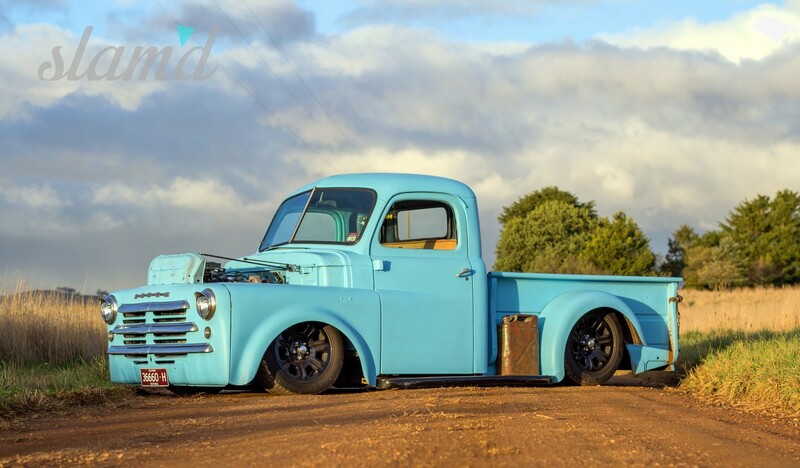 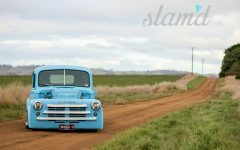 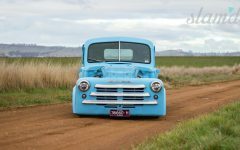 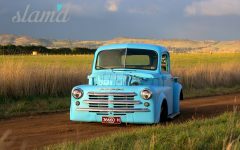 Having already built a Toyota Hilux minitruck, Rodeo minitruck and a Valiant Charger in his short career of customizing, 30-year-old Darren saw the potential in the Fargo pickup when he first laid eyes on the specimen. 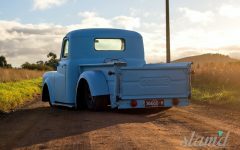 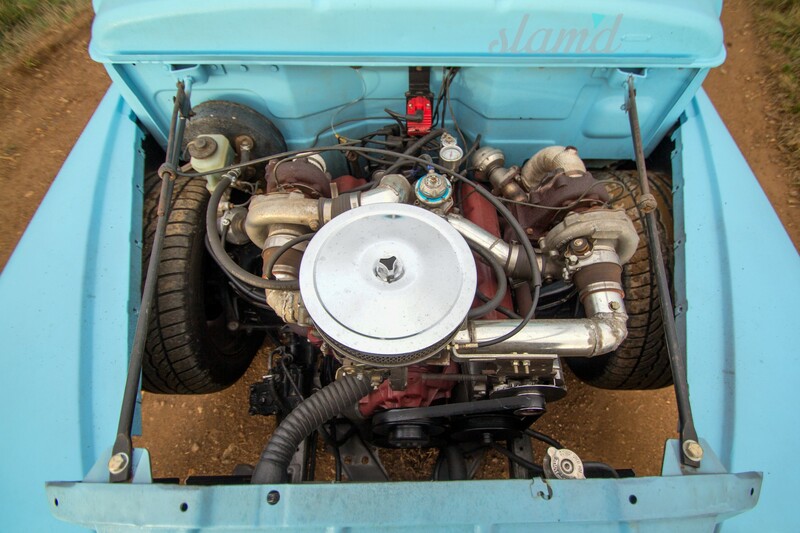 After purchasing this truck, he quickly dismantled his newly acquired project in order to mesh the truck’s body with a c-notched 1976 Toyota Hilux chassis. 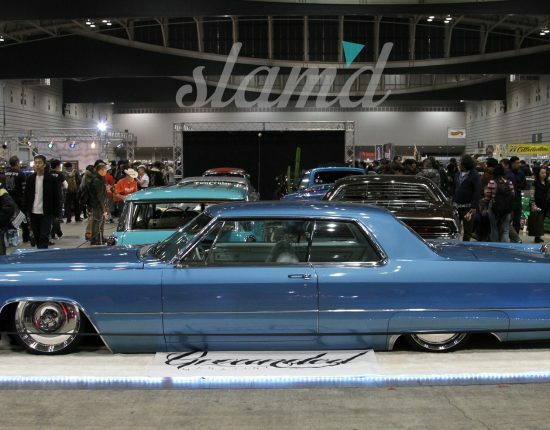 Once the cab was in place, it was down to setting up the perfect Slam’d stance for the project, which Darren did with the help of Slam RE5 and RE7 airbags, Gabriel shocks, adjustable control arms, and a Viair 450 compressor. 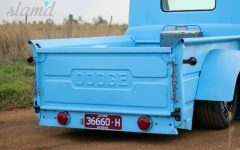 Next, Darren customized the front wheel tubs on the cab of the truck, making room for the 17-inch Ford Territory (yet another Aussie ride) wheels that he selected for this build. 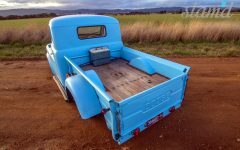 The fully custom bed with a stained wood bed floor featuring a Mopar graphic right in the middle, came later, as did the shaved gas filler, modified International sun visor, shaved rear quarter side windows, custom gearbox tunnel, and PPG Acrylic Matte Blue paint. 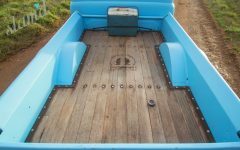 With a fully adjustable setup underneath the truck, Darren wanted to also up the aunte on the rest of his truck’s performance gear. 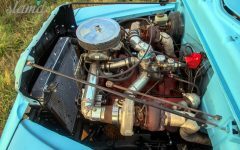 Because of this, he opted to go with a twin-turbochaged 350ci Chevy V-8 with a draw-through turbo system featuring T3 and T4 turbos. 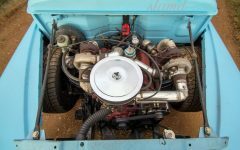 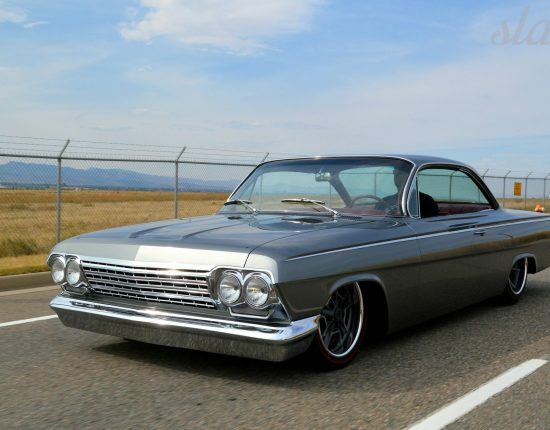 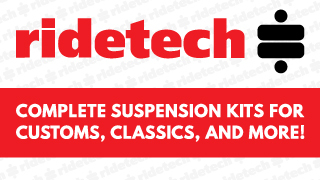 Other performance enhancements include fuelie headers, an Edelbrock 4-barrel carburetor and a custom “homemade” exhaust system. 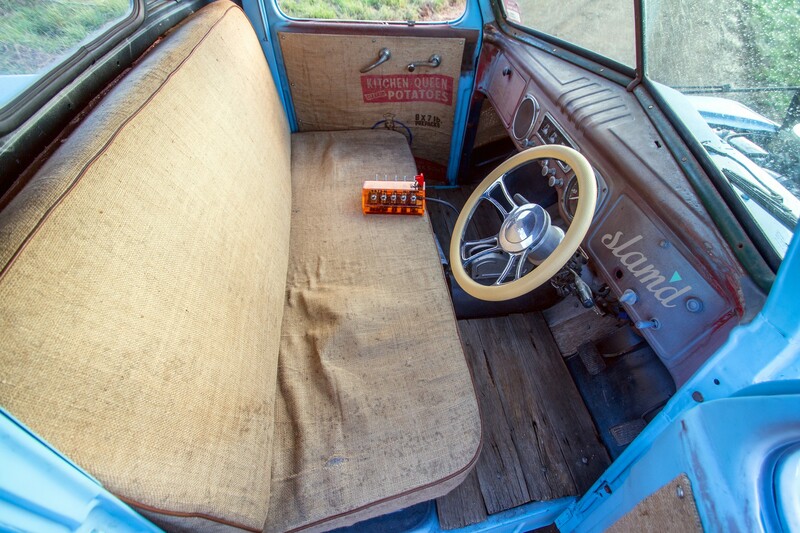 She may look like an old farm truck, but this little Fargo flies! 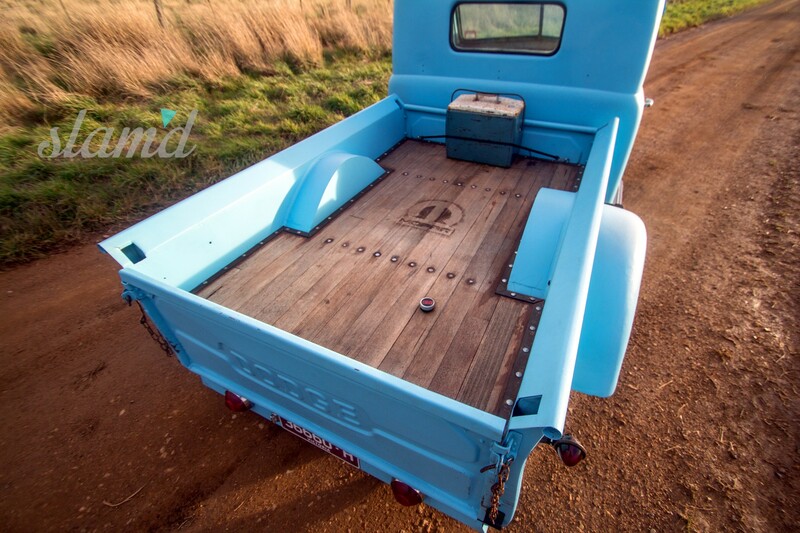 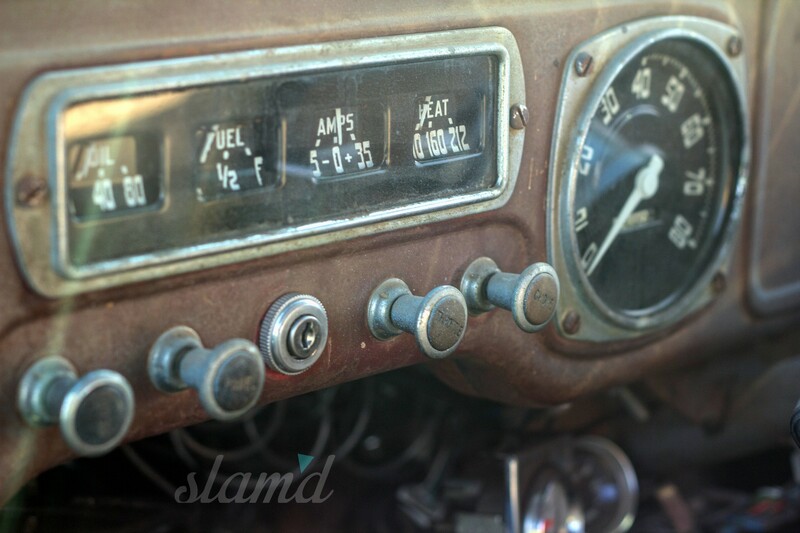 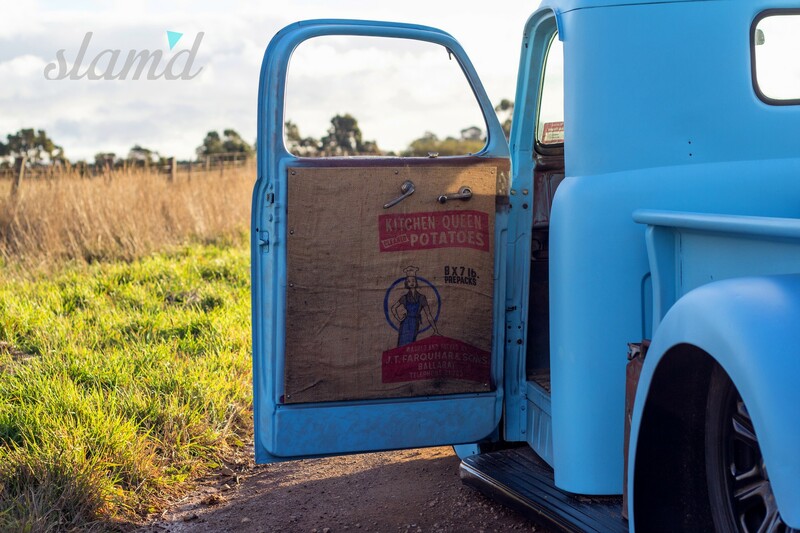 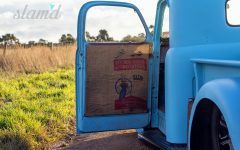 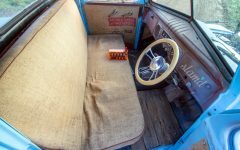 With the farm truck theme running throughout build, Darren completed his truck with a rustic interior featuring potato sack upholstery and door panels, as well as a reclaimed wood floor. 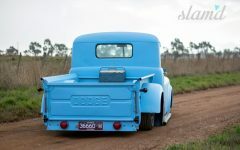 The result is a unique rat rod-esque pickup truck that’s still a reliable cruiser, a concept endorsed by Darren when he chose the paint scheme of the truck as he wan’t something he could get in and cruise without worrying about every little rock chip or door ding. 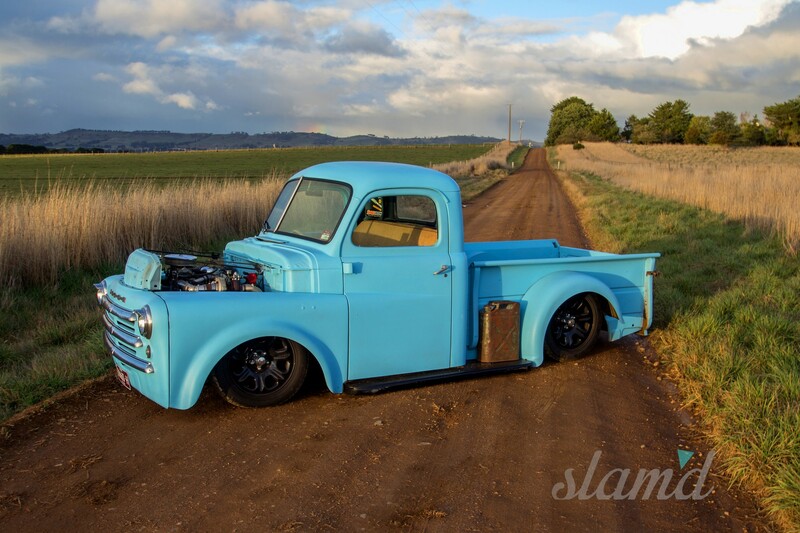 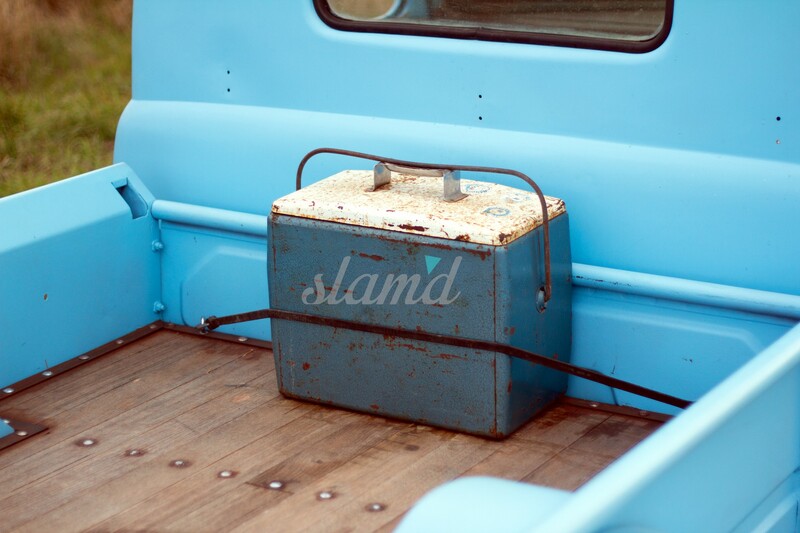 It may not be everyone’s cup of tea, but this is definitely a “Slam’d Approved” cruiser. 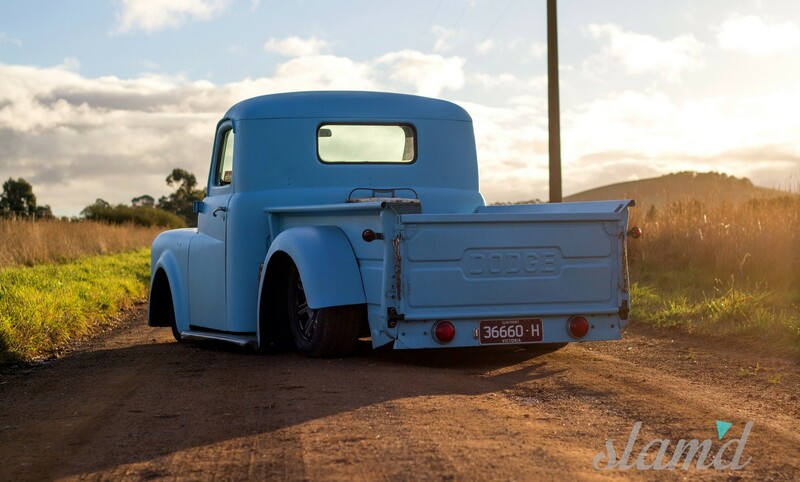 In the future, Darren hopes to chop the roof of the truck five inches and who knows what other interesting modifications he’ll come up with but we can’t wait to see what other tricks he has up his sleeves – stay tuned!